10TB WD Purple Helium-Filled Surveillance Drive Launched! 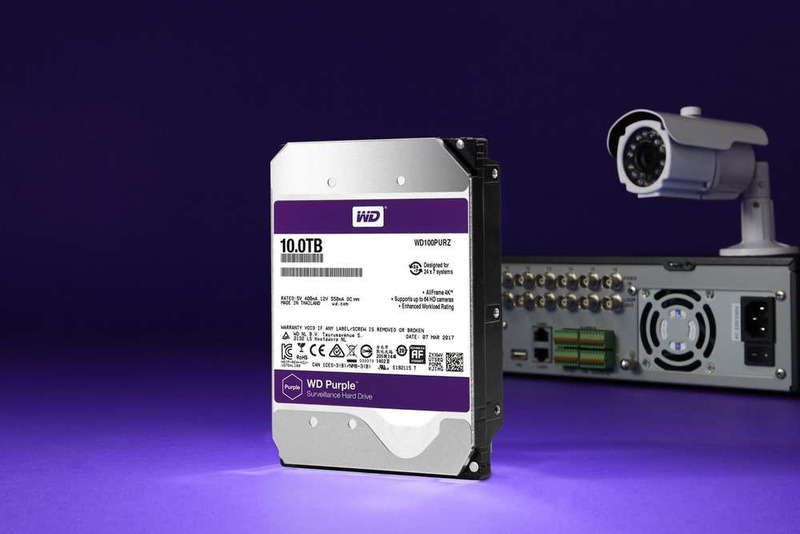 Western Digital Corporation (NASDAQ: WDC), a storage industry leader, today announced the availability of the 10TB WD Purple HDD, the newest member of its high-capacity hard drive line for surveillance applications. With increased capacity and proven leading-edge technology, the 10TB WD Purple (Lowest Price) HDD is optimized for 24×7 video surveillance systems and up to 64 high-definition (HD) cameras in home and small business security environments. AllFrame 4K Technology – AllFrame 4K technology enhances ATA streaming support to help reduce video frame loss with proprietary cache policy management technology to improve overall data flow and playback. 10TB WD Purple (Lowest Price) HDDs include exclusive firmware enhancements that help protect against video pixilation and interruptions within a surveillance system. HelioSeal Technology – Enabling higher storage capacity and lower power consumption, the 10TB WD Purple (Lowest Price) HDD uses the third generation of HelioSeal technology, which has been shipping for over three years and on over 12 million drives as of December 2016. Don’t forget to read our article on the WD Purple family of drives – Is Your Hard Disk Drive Optimised For CCTV Recording? The 10TB WD Purple (Lowest Price) HDDs are shipping now and available in Malaysia. 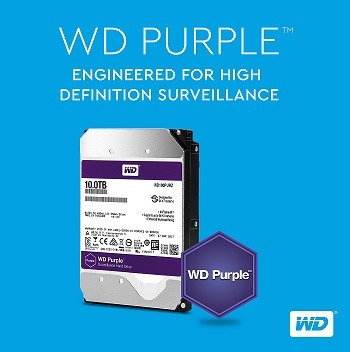 With the new 10TB drive, the WD Purple surveillance-class line is available in capacities ranging from 1TB up to 10TB, all covered by a three-year limited warranty. The suggested Retail Price (SRP) for the 3.5-inch 10TB WD Purple (WD100PURZ) hard disk drive is RM 2,099 / ~US$ 499. 10TB WD Purple. Get the lowest Price here! Previous : 10TB WD Red & Red Pro Helium-Filled Drives Launched! Next : FREE Rocket League with ASUS GeForce GTX 1060 or 1050!